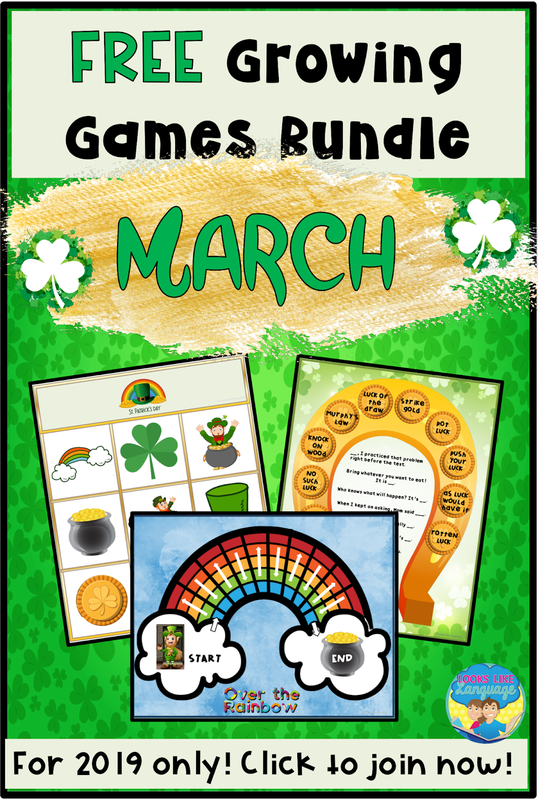 Print and Go Games for St. Patrick's Day! Once I was working with a young boy (let's call him "M") who communicated using PECS, and after much practice, I was so happy that he was making some progress with his symbol discrimination skills. FINALLY! The next session with him, I had a student observer and sat at the table in a different position relative to him. With me in a different seat, we were back to ground zero. It was like he had never done the activity before in his life! That was a learning moment for me. Once an ASD student learns a skill in one context, keep applying that skill in as many different ways as possible and review, review, review! Easy ways to keep reviewing skills are to use different types of activities and take advantage of holiday themes to review a variety of targets learned during the year. Why teach just the vocabulary for that day, which is used once a year, when you can have fun with the theme and review more functional language? 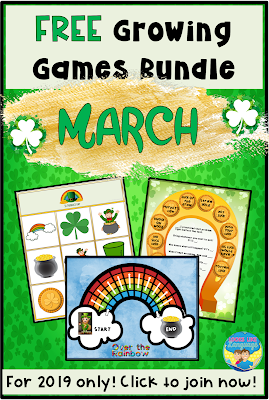 For this reason, I have an open-ended FREE St. Patrick's Day game set for you! And if you'd like to have access to the longer, free monthly sets for 2019, just sign up for my email list on the pop-up! 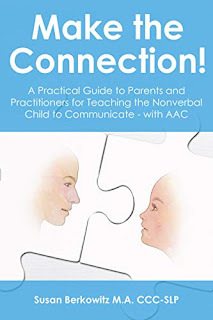 If you work with students using AAC, you will want to check out my friend Susan's new book: Making the Connection: A Practical Guide to Parents and Practitioners for Teaching the Nonverbal Child to Communicate with AAC. One of the many useful tips I learned when reading this book was that research shows that successful AAC users depend upon having frequently used words remain in the same position so they can access them more quickly to get their message across. It made me reflect back on when I was working with students like "M", who displayed problems with spatial perceptual skills, and wonder what could have happened if I had worked on expanding communication without moving symbols around. I'll never know, but you could be more effective with your AAC students after reading the book! I certainly wish I had an easy to read book with so much information available to me then! 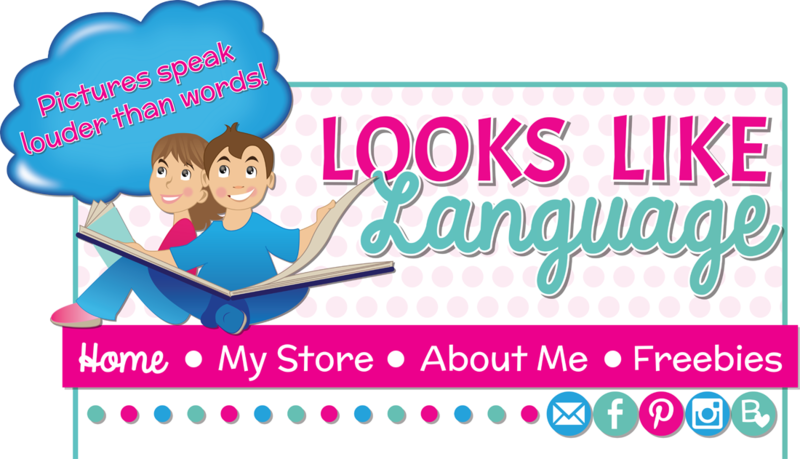 Just click here if you'd like to check it out. And it is free if you have Kindle Unlimited! Disclaimer: Susan is my friend, but I get no compensation for writing this and certainly wouldn't mention the book to you if I didn't know it could be very helpful!